Former Florida Gov. 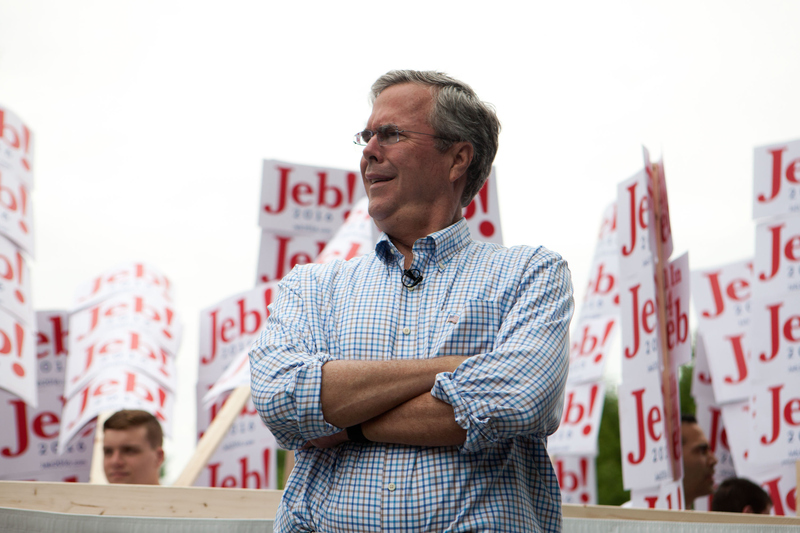 and 2016 Republican presidential candidate Jeb Bush spoke at a forum in Manchester, New Hampshire, on Wednesday. Bush said his aspiration for the country, if he was elected, would be to generate an annual 4 percent economic growth. To do this, Bush said Americans "need to work longer hours," because this will increase their productivity and abilities to gain incomes for their families, according to The Guardian. Americans are typically working a pretty insane amount of hours for very low wages and salaries, and this seems to be something Bush is just conveniently overlooking. If turned into real policy, Bush's goal would hurt the working class, which already works too much. If anyone is celebrating this anemic recovery, then they are totally out of touch. The simple fact is people are really struggling. So giving people a chance to work longer hours has got to be part of the answer. If not, you are going to see people lose hope. And that's where we are today. Bush got one thing right: people are really struggling. The main reason the unemployment rate dropped in recent statistics is because people are leaving the workforce. Second, most people who were actively looking for jobs are no longer being counted as unemployed because they have given up, according to The New York Times. Right now, fewer full-time positions are available, and the full-time positions that are available are becoming extremely competitive. The Times found that great full-time jobs go to Ivy Leaguers, and full-time jobs that aren't as great (these might include jobs at call centers) often go to grads from other second-tier universities that are still reputable. What does this mean? Americans who don't have the money or time to get college degrees will have trouble finding full-time work with benefits. But those workers, such as fast-food workers, still deserve living wages. Bush didn't propose any actual solution to increasing productivity or helping the working class or lower class more easily support themselves, such as, oh, I don't know, a higher minimum wage? According to the Economic Policy Institute and the National Employment Law Project, "the minimum wage in 2014 was 24 percent below its 1968 level despite the fact that U.S. productivity more than doubled over that period and low-wage workers now have much more experience and education than they did back then." Making Americans work more increases productivity for businesses — it has never been shown to put more income back into the hands of employees so that they can support their families. Bush is missing a fundamental part of the working class and lower class economic struggle: income inequality and low wages. Without addressing this, Americans will continue to be overworked and underpaid.